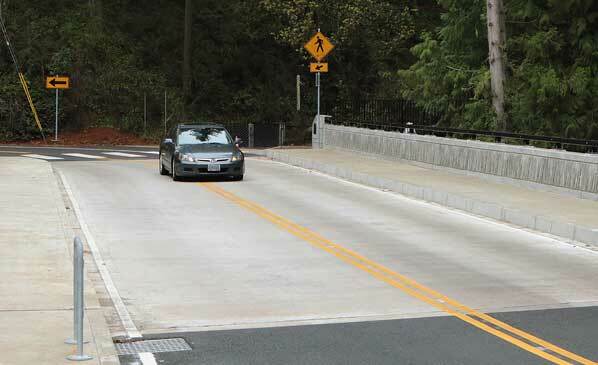 Taking the corner too fast, a car zooms across the newly-opened 122nd Avenue Bridge, which connects both the Powellhurst-Gilbert and the Pleasant Valley neighborhoods with the rest of outer East Portland. When a brutal winter storm challenged the safety of the 122nd Avenue Bridge several years ago, the Portland Bureau of Transportation (PBOT) had no option other than to close it to traffic. But, thanks to $2.5 million in Federal Highway Bridge Funds and a PBOT general transportation revenue funds-match of $300,000, construction on a new bridge there got underway sooner than had been expected. 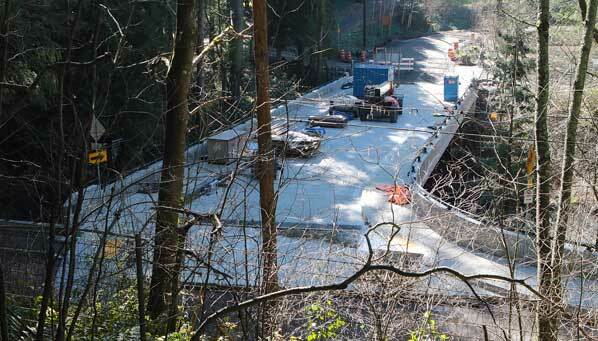 In early March, this bridge looks nearly complete. >> To follow this story back to its beginning, CLICK HERE to see our October, 2018, update on the bridge rebuilding project; then, follow the link in that, for the previous articles, back through time. 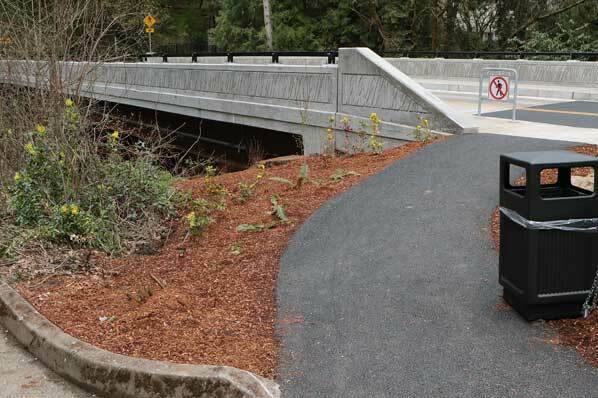 While weather and utility delays slowed the project’s progress as its completion neared, this beautiful new bridge – designed to last 75 years or more – was finally opened to pedestrians and traffic on March 19. 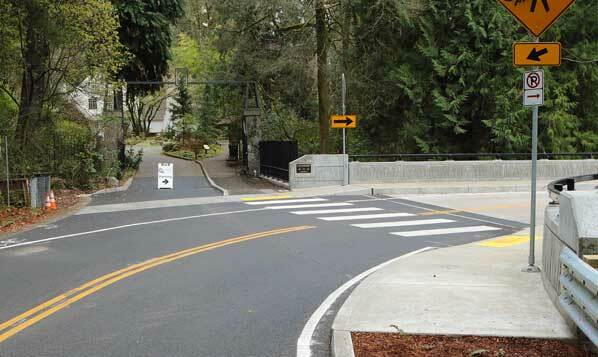 At last, drivers are again able to reach the Leach Botanical Garden parking lot, just to the south of the new bridge, when coming south from SE Foster Road. Bridge improvements are shown, including ADA ramps at both ends of the bridge.